If you’re looking to present your products or services, or simply promote one of your blog posts, then check the sponsored posts or sponsored links and snippets sections below! Guest posts are currently accepted and they are free! Almost any type of article related to WordPress will be accepted (e.g. tutorials, tips, listicles, etc. ), as long as it meets the below guidelines. An author bio is a must and the backlink (nofollow) will go there. If you want to write a guest post, or if you have any questions, don’t hesitate to get in touch! 1. I reserve the right to add internal and external links to the post, including affiliate links. 2. I reserve the right to make certain changes to the post before publishing it or even in the future (e.g. if some parts are not well-written, if some things that you might recommend get outdated, etc.). These terms can be updated in the future. Sponsored posts allow you to present and spread the word about your business/products/services. 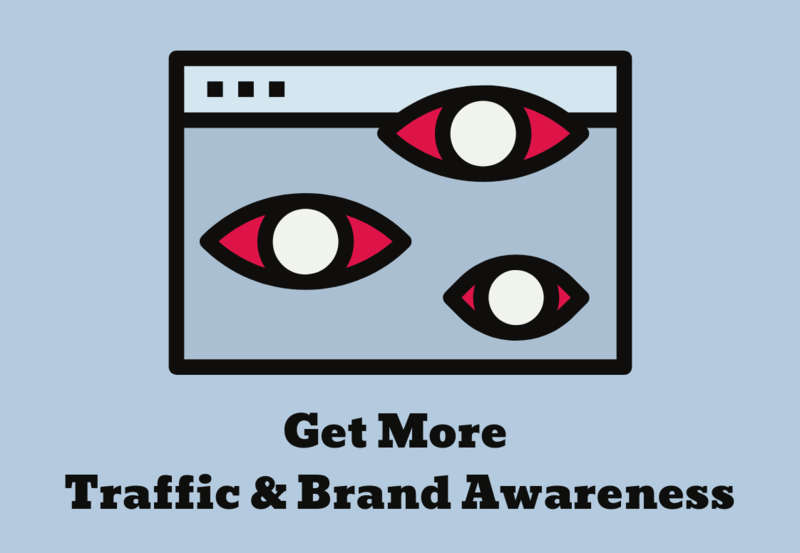 So, if you’re looking for more traffic, exposure, and brand awareness, then this is for you! If you’re looking for backlinks, then it’s not for you because they will be nofollow. The guest post rules above – except for the external links part – apply for the sponsored posts as well ! If I’m getting paid to accept a post, it doesn’t mean that I’ll accept anything. Your content and your website/services/products need to be good. You can make changes and update your post(s) in the future. Have questions or want to publish a sponsored post? Then get in touch. 1. The post will be marked as sponsored at the top so that the readers will know I’m getting paid for it, and to comply with the FTC law as well. 2. You understand that this website/blog (themeskills.com) might not exist forever. If it ever shuts down or changes ownership, the post might get removed as well. A refund will not be offered. 3. If your website, web page, products, services, etc., change, stop existing, contain malware, or anything of that nature, I reserve the right to remove the post. By “change”, I mean more drastic changes. For example, if you offered a type of service and then changed it to something different (e.g. WordPress backup services to WordPress security services). 4. If I find out that the post was copied or spun, even after it was published and I received the payment, I reserve the right to remove it. 5. If I receive legitimate bad feedbacks from the users regarding your mentioned services/products, I reserve the right to remove the post. If points 3, 4 or 5 occur, you’ll be contacted on the provided email address. 6. You’re not allowed to add affiliate links. 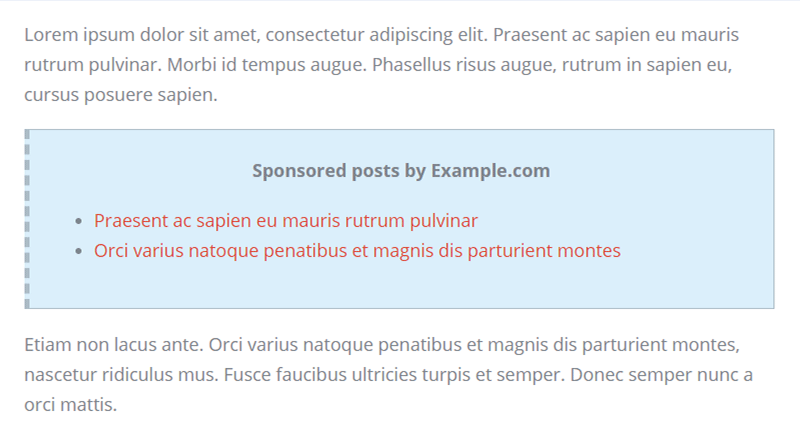 If you want a sponsored post on this website, it means that you accepted and understood these terms. Sponsored links or snippets are a great, easy, and cheap way to promote your own posts, services or products inside one or more posts found on ThemeSkills! A sponsored link is a simple link added inside a promotion box in one of my posts, which promotes one of your WordPress related posts, products or services. The price is only $6.99/month per link. You can cancel the subscription any time! Sponsored snippets are an enhanced way to promote your posts, services or products. 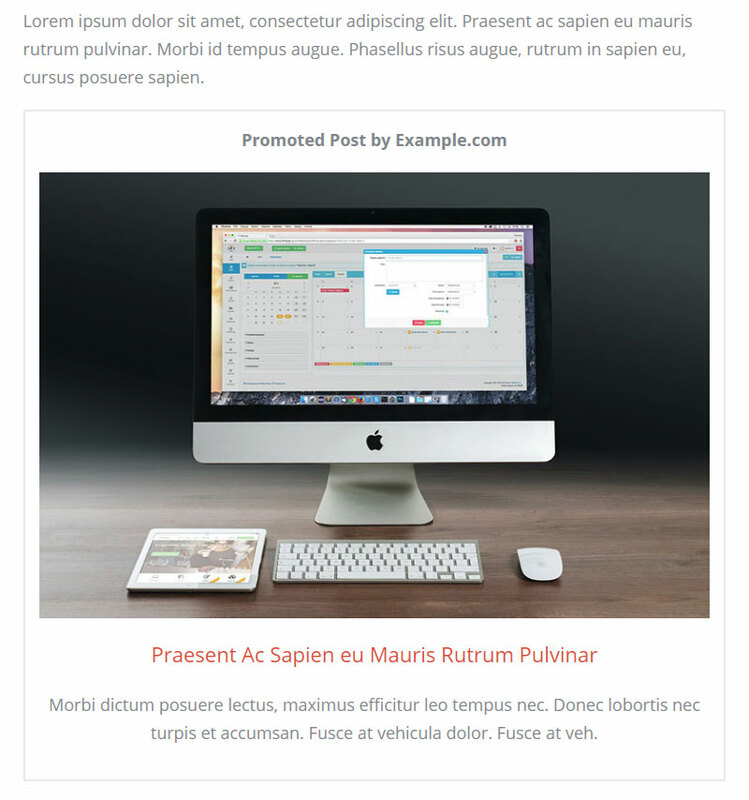 Besides adding a link, you’ll also be able to add a featured image and a small call-to-action description. The price is only $9.99/month per sponsored snippet. You can cancel the subscription any time! 1. I may modify the style, layout, and content inside the boxes, except for your links, description (unless there are grammar or misspelling mistakes), and featured image. 2. I may reposition the boxes inside a post. 3. It will be disclosed at the top of the post that I received financial compensation to add the sponsored snippet or link boxes inside the post, so the readers will know I’m getting paid for it, and to comply with the FTC law as well. 4. You understand that this website/blog (themeskills.com) might not exist forever. If it ever shuts down or changes ownership, the post might get removed as well. 5. If your website, web page, products, services, etc., change, stop existing, contain malware, or anything of that nature, I reserve the right to remove the sponsored link or snippet. 6. If I receive legitimate bad feedbacks from the users regarding your services/products/posts, I reserve the right to remove the post. If points 4, 5 or 6 occur, you’ll be contacted on the provided email address. 7. You’re not allowed to add affiliate links or links to websites that you don’t own. If you want a sponsored link or snippet on this website, it means that you accepted and understood these terms. Interested in a sponsored snippet or link? Then get in touch and let’s talk! Buying/selling links to manipulate PageRank is considered a link scheme by Google, which is a violation of their guidelines. They might not pass page rank, but they still help to get more traffic, brand awareness, and leads!